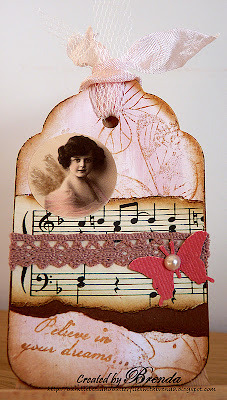 I though I would show you my sample card and tag for a workshop I am doing on the 15th of February at The Art of Craft. 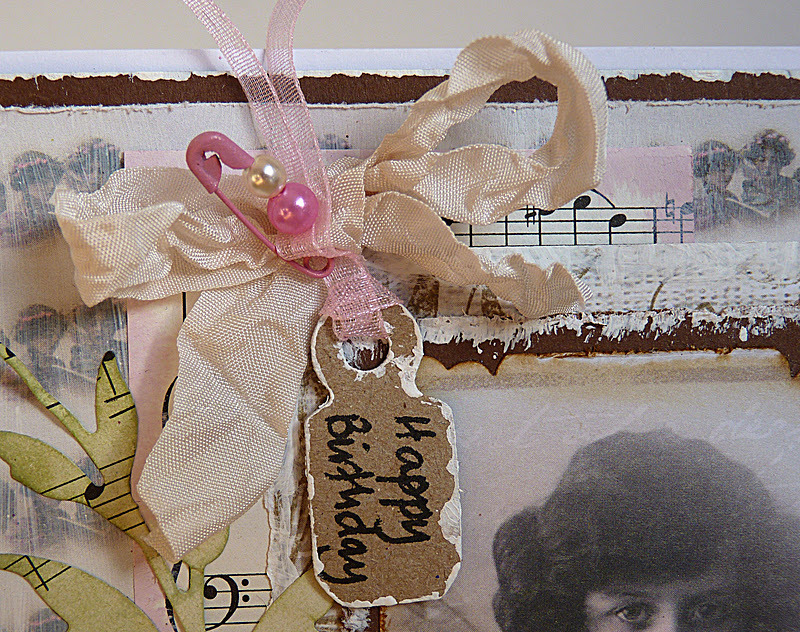 The girls who made the mini album with me before Christmas wanted more vintage shabby things to make. Hope they like them. This is a 6 x 6 ins card and I have used 12 x 12 papers from the shop, one of which has these gorgeous vintage images which are beautiful and ethereal. We are going to use gesso, acrylic paint and DIs to make this shabby collage style effect. If you are not too far away and want to come, please ring the shop for a booking and who knows I might see some of you there. Liking the look of these, will book your classes as soon as the list is out. Such a wonderful piece, Brenda. All these beautiful elements, just a wonderful card. Ooh Brenda love these ! Your attention to detail is amazing love all of the pretty embellishments and the gorgeous image and stamping. Fabby card and tag Brenda, wish I was near enough to come ! So nice you have planned to go to California too!! WOW!! Brenda these are just so stunning just the kind of thing I love,Why cant you live next door to me LOL!! Well, I'm a little far away, but if I were closer, I'd love to be in one of your classes--beautiful, Brenda! 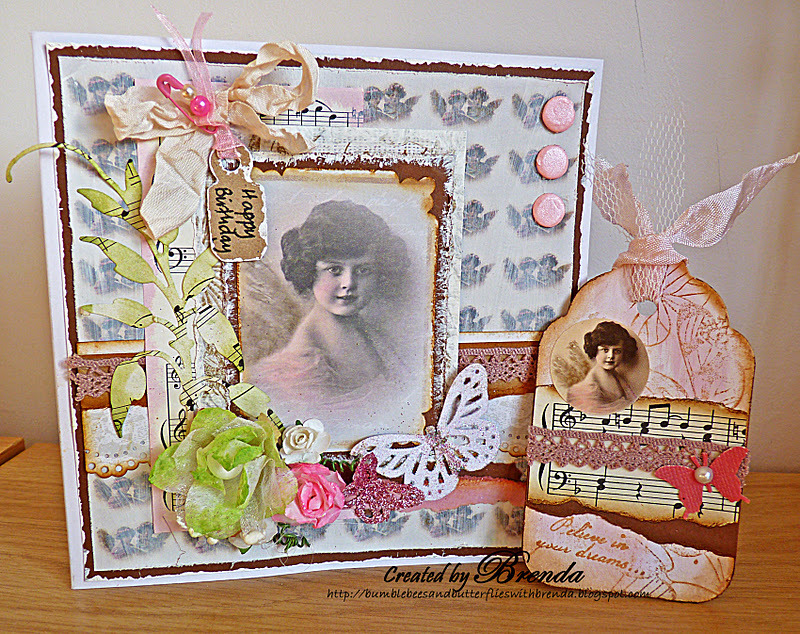 That Tag is to die for Brenda, I love how you have placed the scrap of Music, and the image is gorgeous, your class is going to love these projects, Oh I wish I was near you...sigh. Oh Brenda, do I wish I could pop in and take the class! This card and tag are shabby sweetness all the way and the girls will be head over heals with this class! How fun and gorgeous! Enjoy the evening! Wow Wow Wow Brenda - love these beautiful projects! 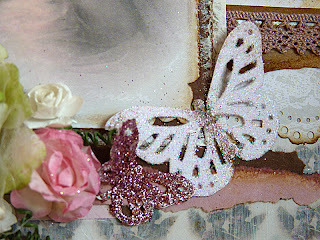 You always add the most delicious detailing and embellishments - that butterfly die is fabulous. Have a great class - pity I don't live nearer! Simply glorious...Oh I would love to attend your class! 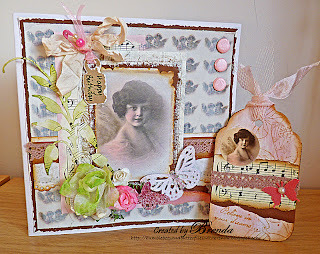 Beautiful set...love the vintage look...your classes sound like fun!! These are lovely Brenda. I love this style of yours. So many little details right down to the safety pin with the beads. I am sure these will go down a treat at your class. 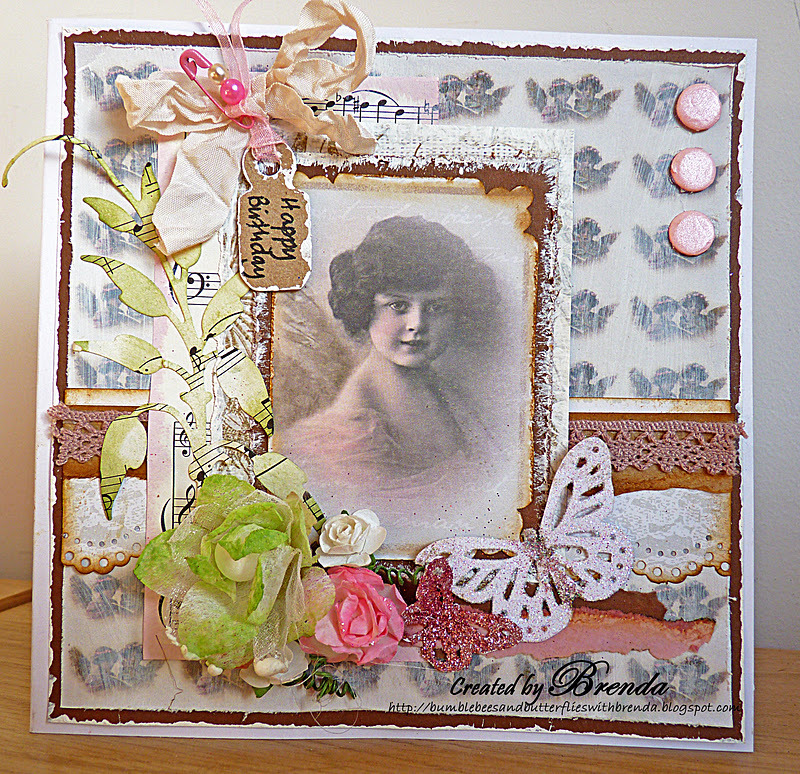 This looks something that is so special Brenda something that should be treasured for years to come, just like the tag I won, that image, the design and colours look phenomenal. 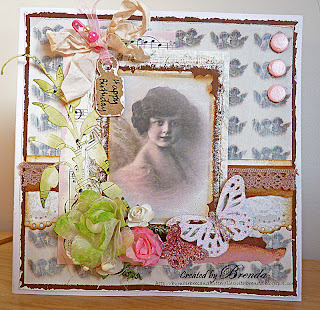 Another masterpiece...love the shabby vintage look of this one...beautiful! !